When the U.S. Congress passed the law that this day would be recognized, back in 1926, they said, “the recurring anniversary of this date should be commemorated with thanksgiving and prayer and exercises designed to perpetuate peace through good will and mutual understanding between nations.” Basically, that means that this holiday should be a time for being thankful for peace, and doing things to help build positive relationships between different countries. 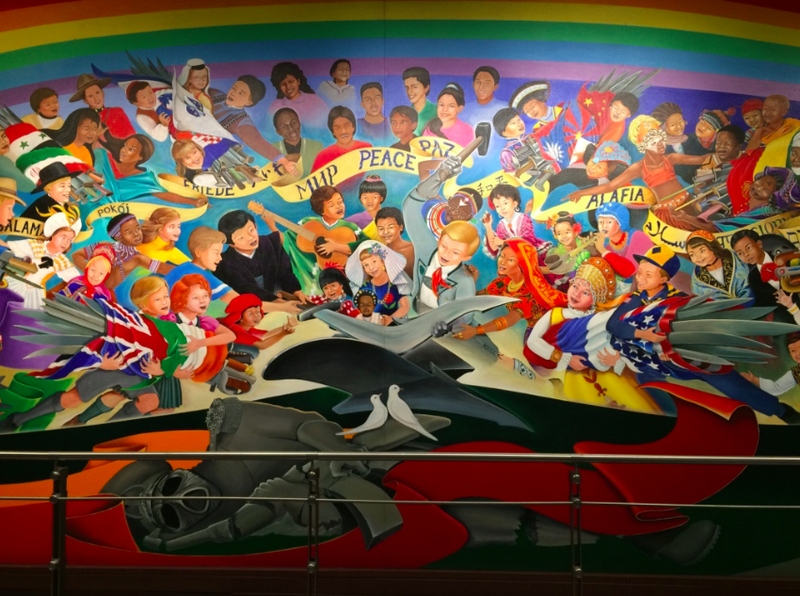 “Children of the World Dream Peace” Mural at the Denver Airport — click here to see more photos. I’m writing from Boulder, Colorado, where I attended a memorial service yesterday for a very close family friend, Ellen, who passed away last week after a long illness. Ellen was passionate about child welfare and fighting for people who needed advocacy. I found out yesterday that in her early days as a social worker, she helped immigrant women get jobs in her office. In recent days, as her brain was failing her, sometimes when she couldn’t find the words in English, she would speak her wishes in French and Spanish. Even as she was dying, her love of languages didn’t disappear. Ellen is a beautiful example of someone who didn’t just talk the talk; she was passionate about global issues and acted on her values to make the world a better place. 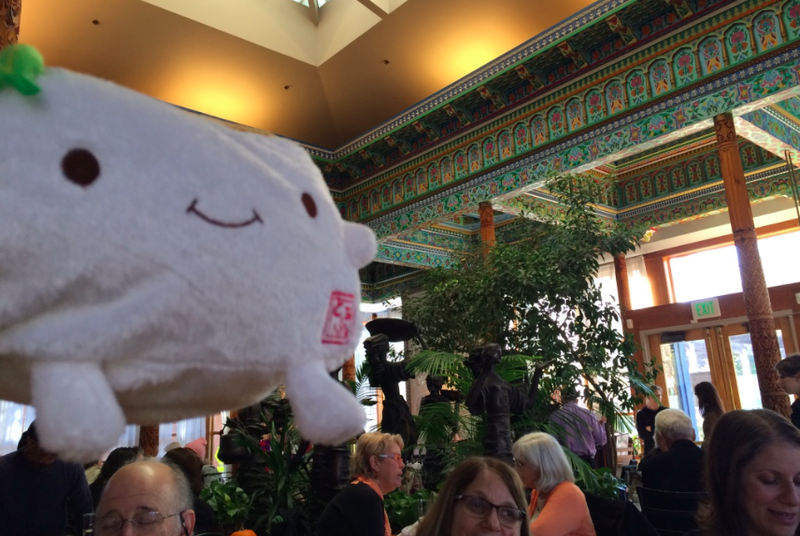 The Dushanbe Tea House was presented as a gift to the city of Boulder from its sister city in Tajikistan. It is hand crafted by more than 40 artisans in Tajikistan. 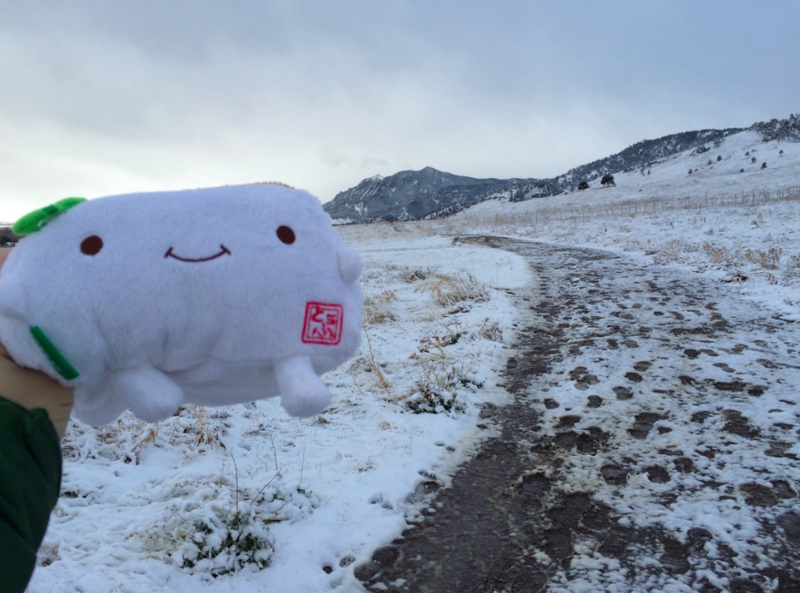 This morning, we woke up to the first snow of the season here in Boulder. 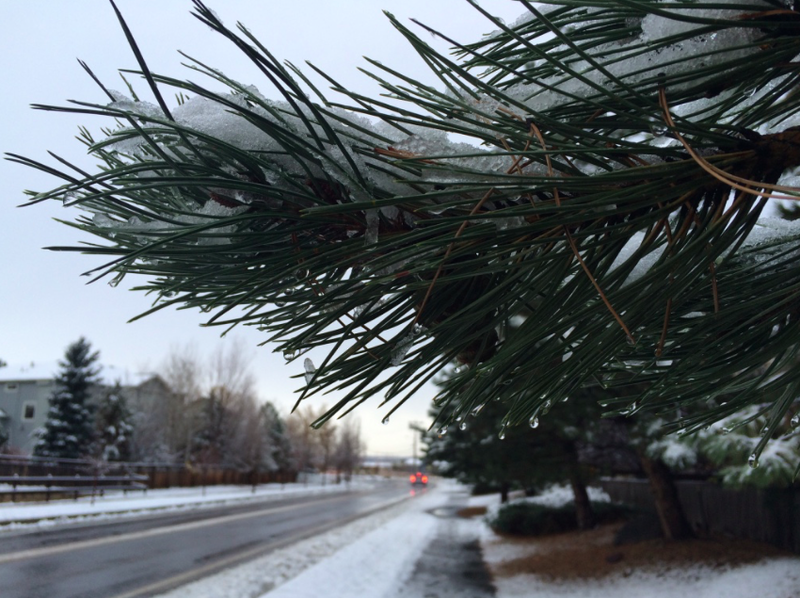 The streets are quiet; the trees and mountains are covered in a layer of white. It certainly feels peaceful outside. The journey back to Massachusetts tonight will be long, even if all goes well and we have no delays. Despite all the inconvenience and uncomfortable middle seats, it feels magical to be able to travel thousands of miles in a single day. Wherever you are, today is a great day to remember that the world is smaller than you might think. Very interesting. I did not know this! Wow I didn’t know that! I like how Veteran’s Day is a day for peace. I also like how Ellen supported people who needed it to make the world a better place. I’m sorry for your loss, and may she rest in peace.